Spring is in the air, and that means it’s time to aerate and fertilize your lawn for green and healthy grass all summer long. 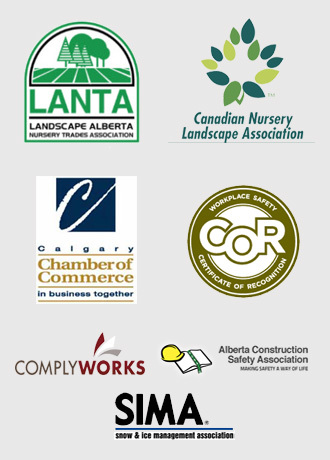 Given the relatively short growing season we have here in the Calgary area, it’s best to have these vital landscaping tasks completed at the right time for the best results. An aerated lawn also tends to be more resilient and better able to resist the wear and tear that comes with foot traffic. A word of warning: applying too much fertilizer can cause what’s known as “nitrogen burn,” which can lead to discolouration or even kill affected patches of grass. To achieve the best results, it’s a good idea to trust Calgary landscaping professionals to apply the ideal amount of fertilizer and ensure your lawn enjoys optimal benefits. Should You Power Rake Your Lawn? The primary objective of raking your lawn is to get rid of thatch. Thatch is made up of stems, roots and dead plant material, creating a subsurface layer that can help protect your lawn. However, too much thatch is a bad thing; it can prevent water from reaching the roots of your grass, block airflow and inhibit nutrient penetration. Calgary landscaping professionals generally recommend hand-raking rather than power-raking, because it allows for more control and is gentler on your lawn. However, if you have an unusually thick layer of thatch, you may need a power rake to get the job done. This is best assessed by a qualified and experienced landscaper, so don’t hesitate to seek advice if you’re not sure whether or not you need to power-rake your lawn. Remember: most lawn damage is reversible, and removing excess thatch is one of the most effective ways to revive a lawn that’s looking tired and worn-down. However, raking is most effective when performed in tandem with aeration and fertilizing. This strategy attacks problems and pests three different ways, opening up your soil so air, water and nutrients can get to your grass. Make it part of your spring cleanup game plan! Another way to ensure your lawn is the envy of all your neighbours is to irrigate it. While regular watering will certainly help the health of your grass, a professionally installed irrigation system will generate outstanding results, delivering moisture straight to where it’s needed most. If you’re interested in a lawn irrigation system, talk to a qualified Calgary landscaping company to learn more. Call the Calgary Landscaping Experts! The friendly and experienced pros at Mirage Landscaping offer a complete range of reasonably priced home lawn care and landscaping services. If your spring cleanup is too daunting for you to handle on your own, or if you want to benefit from the care of a professional, you can count on us. 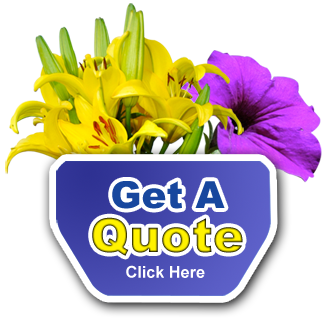 Simply contact us online and we’ll get right back to you with a custom estimate for the services that interest you.